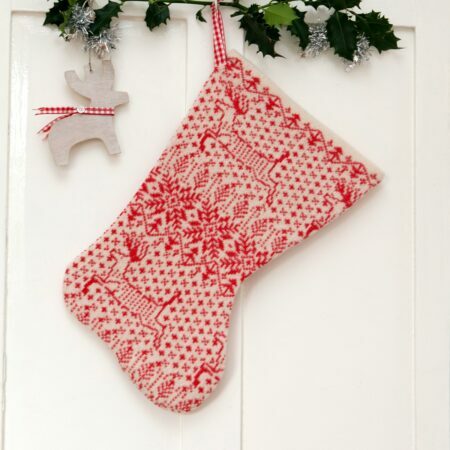 Hanging up this Knitted Christmas Stocking is sure to become an important feature of your annual Christmas traditions. 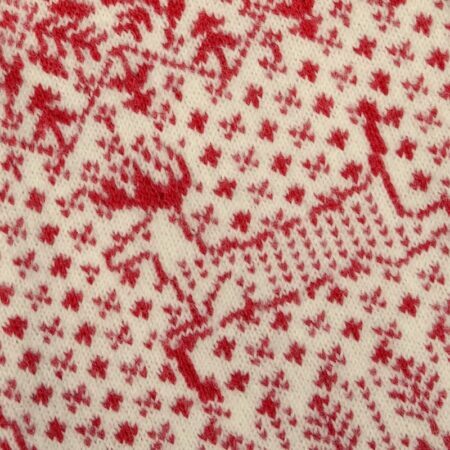 The Scandinavian style reindeer, snowflakes, and pine trees are knitted in a festive scarlet and cream. 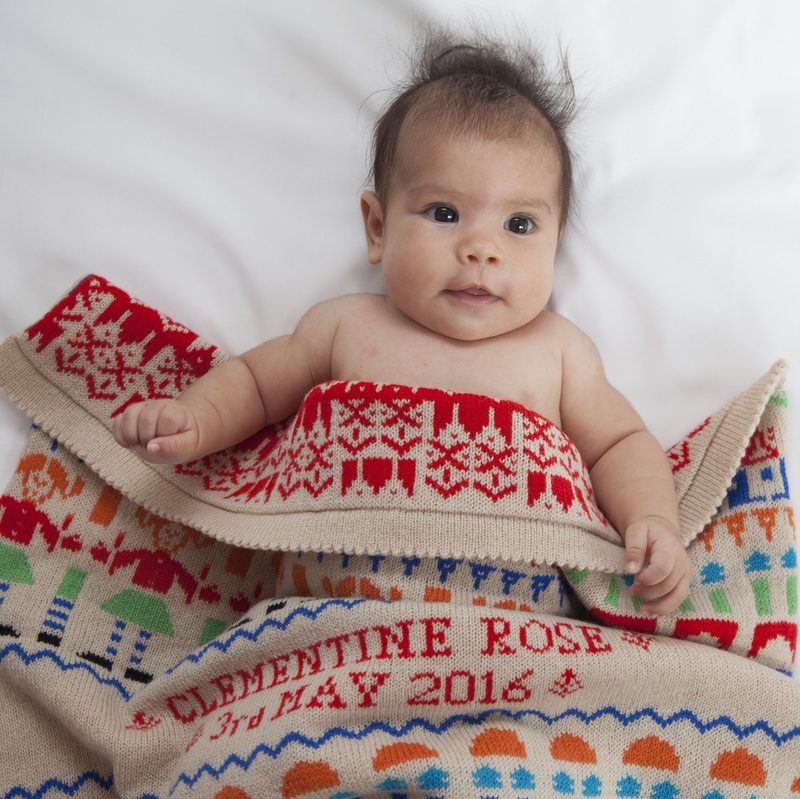 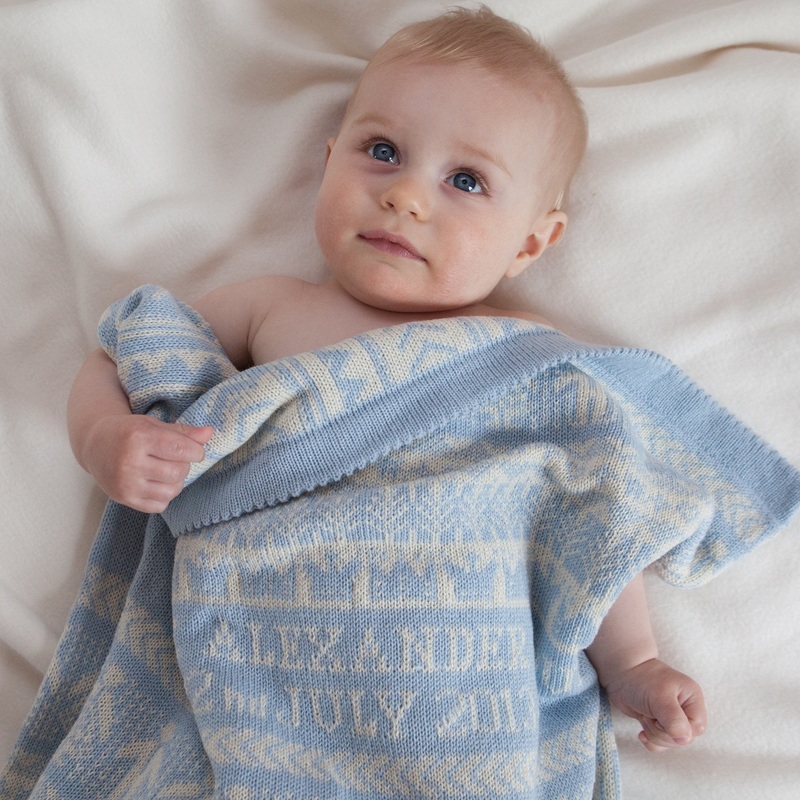 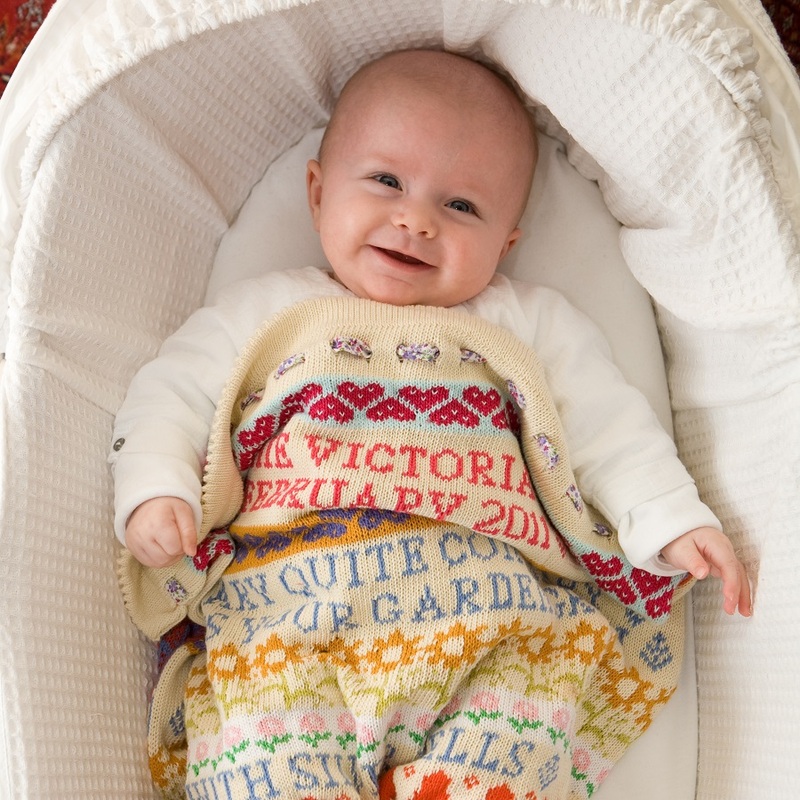 The wool mix is soft and cosy – perfect to wake up to on a frosty Christmas morning! Each stocking is individually made in Charlotte’s Norfolk studio. 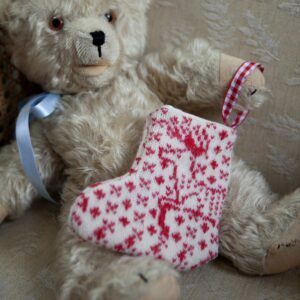 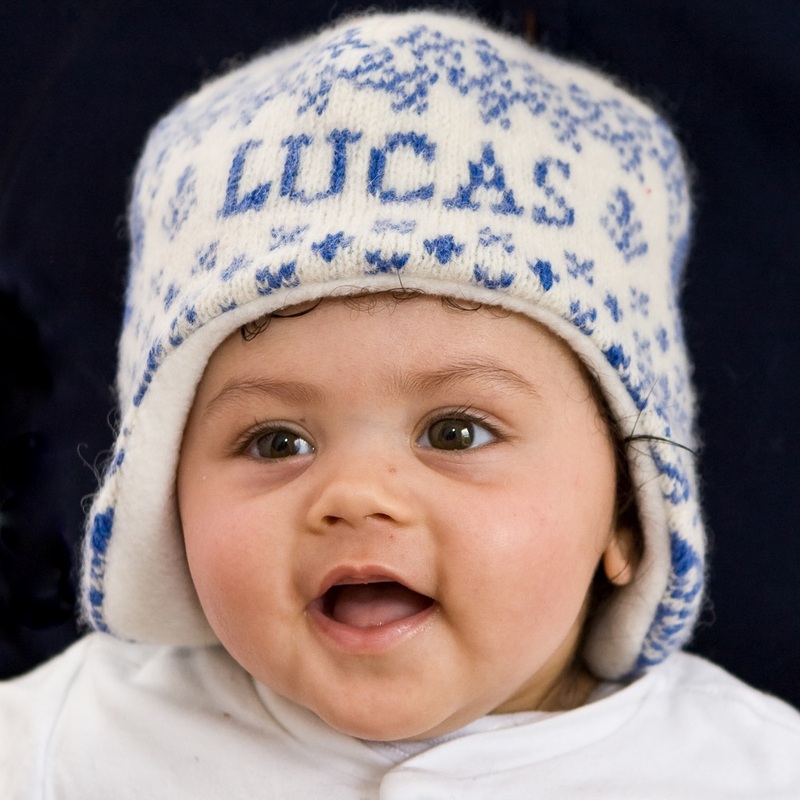 They are made from natural materials – knitted in scarlet cotton and cream wool, and lined in sturdy calico. They make a festive Christmas decoration hanging in a row from a fireplace or bedpost, waiting to be filled with treats. 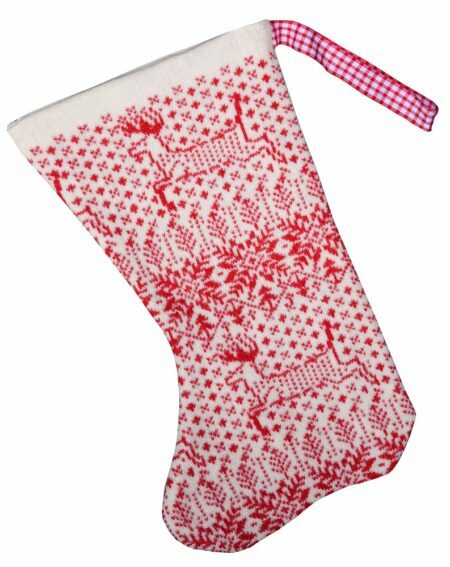 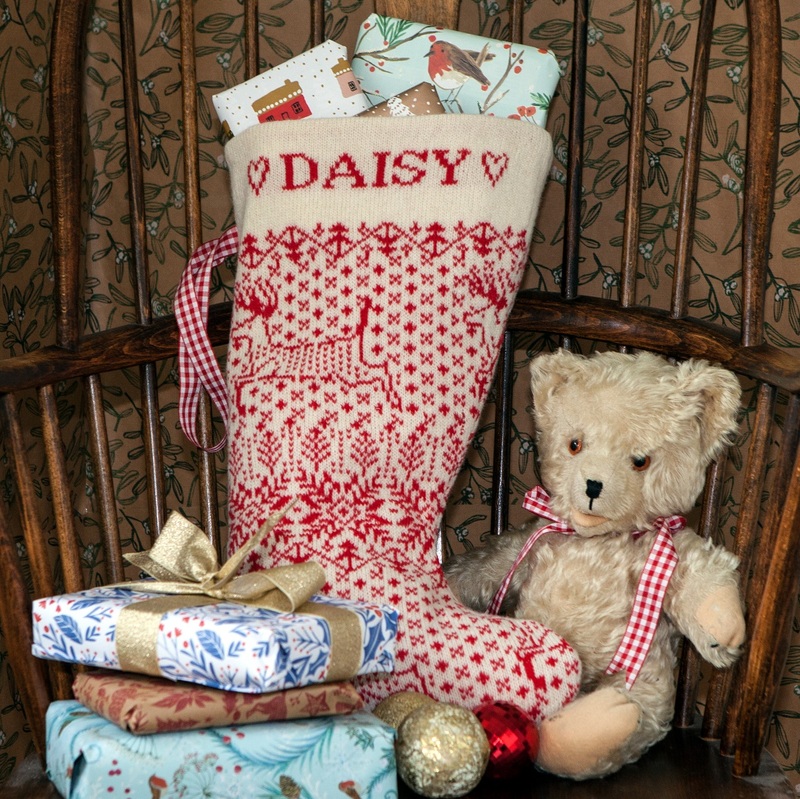 The Knitted Christmas Stockings measure approximately 44cm x 26cm – so plenty of room for gifts! 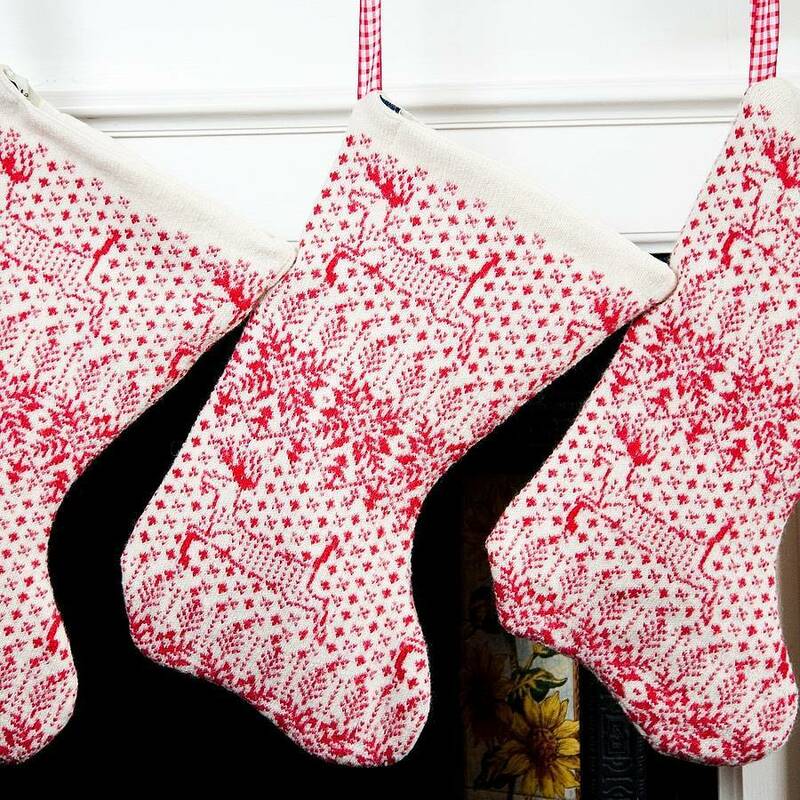 For a limited time we are offering these at a reduced price – £15 each – and just £10 each if you order three or more. 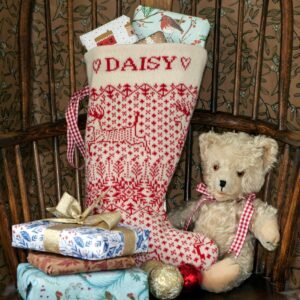 If it’s a personalised stocking you’re after, find Charlotte’s popular Personalised Christmas Stockings here. 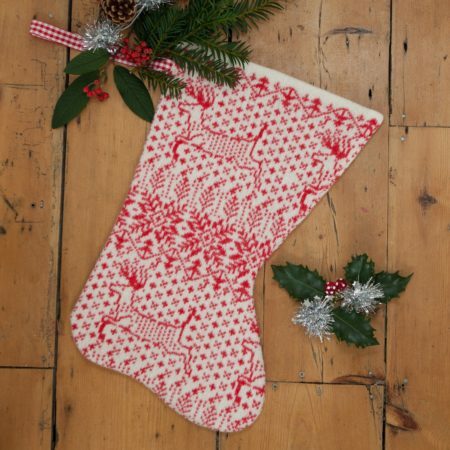 Postage within the UK is £3 no matter how many you order.